Get your projects looking just how you like them, using Layout Options, Engraving Options, Notation Options and so on. Save the settings so you can use them again by clicking Save as Default. You can save a set of default settings for each options dialog separately. Other dialogs such as the Notehead Sets Editor and Paragraph Styles etc. also allow you to set the current settings as the default for new projects. You can always get back to the options that ship with Dorico by pressing Reset to Factory. In this post I’m going to share the procedure to put together a performing edition of a set of Preces and Responses, based on the text of the Book of Common Prayer. 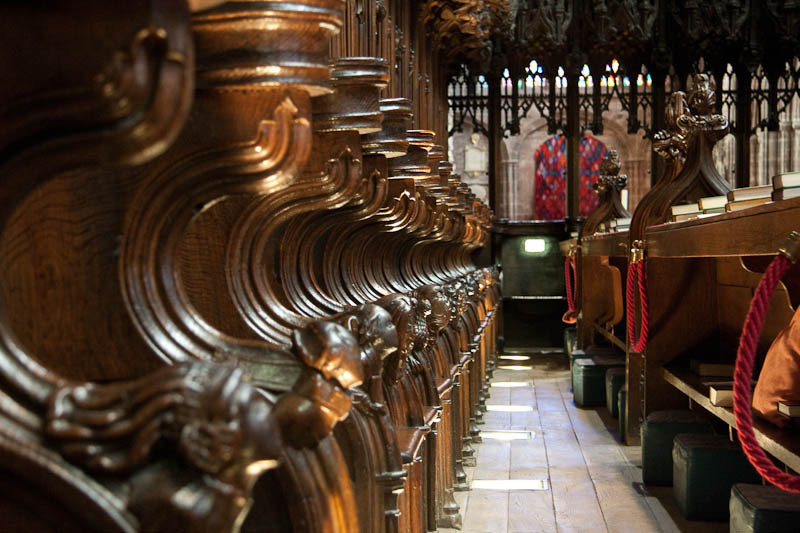 The Preces and Responses are part of the choral evensong service in the Church of England and in Episcopal and Anglican churches around the world. They make an interesting case study for Dorico because they consist of a series of short versicles sung by a cantor, each one followed by a response sung by the choir, and this is an ideal fit both for Dorico’s multi-flow and page layout features. The particular set of Responses I am going to produce is by William Smith, an English composer from the first half of the 17th century. The Smith Responses are often sung with a setting of the Lord’s Prayer written by Robert Stone, since Smith’s setting includes only a simple chanted version. I will be including Stone’s setting of the Lord’s Prayer in my performing edition. If you want to follow along exactly, you could use Sjouke Bruining’s edition on CPDL as a source: this edition uses the original note values, but I am going to halve the note values in my performing edition, as this reflects modern practice more closely.